With the latest beta, WhatsApp has fixed that. 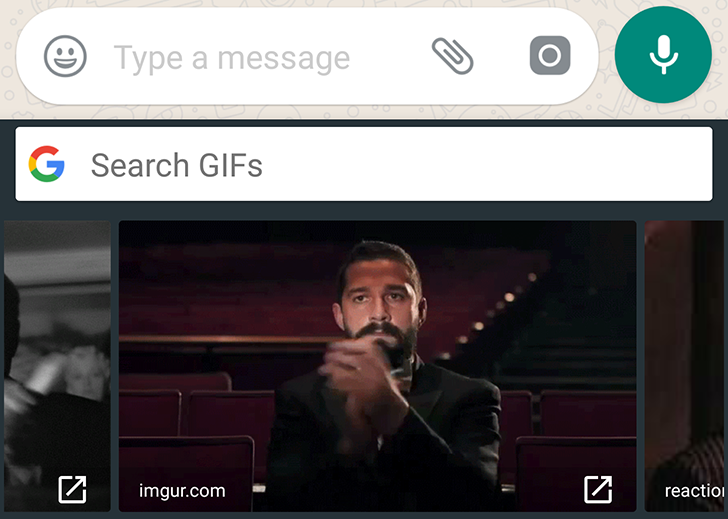 Now the GIF tab in Gboard is no longer greyed and stricken out while using WhatsApp. 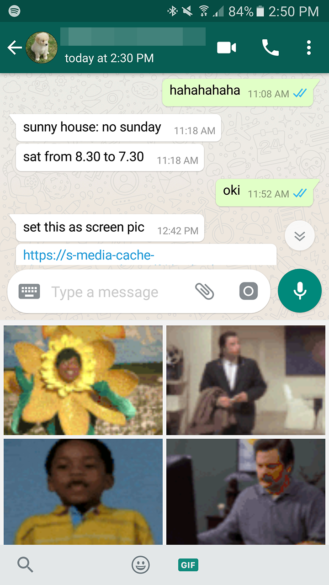 You can search for GIFs, choose the one you want, and insert it all from Gboard and without having to deal with WhatsApp's built-in method, which honestly always feels cramped to me. Both work though, so you get to choose whichever works for you. 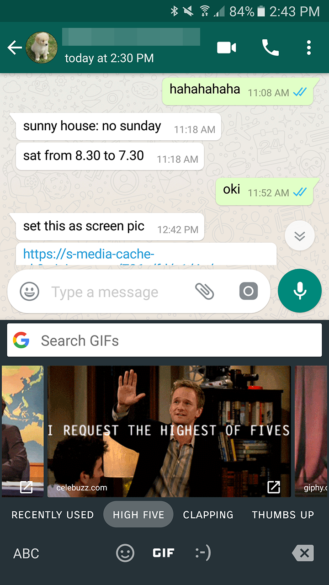 Left: WhatsApp's built-in GIF panel. Right: Gboard GIF insertion in WhatsApp. GIF insertion has been enabled in Gboard for Android devices going as far back as Honeycomb, as long as the app supports it, so this should work for those of you on Nougat but also Marshmallow and probably even before. You do need the latest WhatsApp beta 2.17.110 though, which you can download directly from APK Mirror or by joining the official Play Store beta and waiting for the app to switch to the beta track on your device.